A classic trapezoid dress with 3/4 sleeves, fastened with a concealed back zipper. 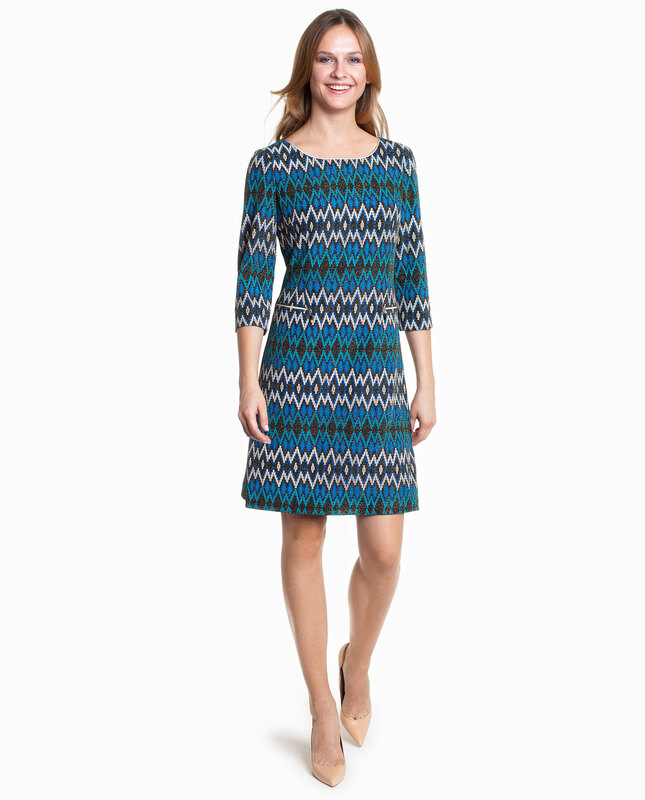 The dress’ elastane lining makes it easy and comfortable to put on and take off. The garment is manufactured from fabric that feels very pleasant to the touch, inverwoven with a shiny golden thread. There is a leather-like trimming on the front. Pckets around the hips are decorated with golden zippers.